It was bold to move from sleepy Rhode Island to New York City, but singer-songwriter Bria Lee was determined to fulfill her artistic potential. Upon arriving on the thriving Gotham scene, she soon found herself aimless in an 80-hour grind. Between waiting tables and working at a pizzeria, Bria wedged in restaurant gigs. It would be one fateful record label showcase that changed everything. After the once-in-a-lifetime opportunity, Bria signed to Republic Records and now steps forward with a brace of vibrantly expressive singles featuring guests like Fat Joe and Pitbull. These will seed the path to her debut EP. Bria’s signature aesthetic is eclectic, but hallmarks of her artistry are a sensually emotive sensibility that fuses rugged hip-hop beats with sublime, edgy pop. Bria sang before she could talk, and, through hard work, made good on her gifts in music. Growing up in a musical household in Providence, Rhode Island, her mother sang and played guitar and her father was fascinated with artists and musicians. It was a warm and nurturing atmosphere that allowed Bria to hone her prodigious talents. Her father would drive her to lessons and auditions, and he always urged her to not let her God-given talents go to waste. At the age of 17, she matriculated at New York’s Manhattan School of Music where she studied classical piano, quickly becoming a fixture on the NYC jazz scene as a singer. Though she prefers not to dwell on it, a galvanizing moment came when her father was sick, and she paused everything to be with him back home in Rhode Island. “My dad and I related to each other through music. When he died, it was too painful to keep doing music—I was heartbroken—but then I found it to be more painful to not do music,” she confesses. 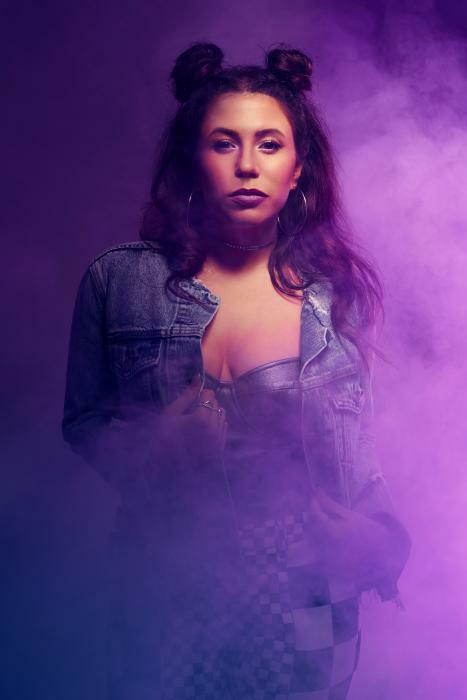 Bria’s musicality fuses the sultriness of soulful singer-songwriters like Amy Winehouse, Lauryn Hill, and Alicia Keys with the bump of hip-hop. It’s a smooth topline set over a grimy 808 thump with touches of jazz and organic instrument for added flair. As a singer, Bria’s soulfulness manages to conjure the smoky expressiveness of a jazz vocalist and the sass and swagger of a MC. As a lyricist, Bria favors candor and impressionism, always seeking to capture the moment.